I love to cook and bake. Making wonderful food from scratch is how I share my love with my family. I do not use pre-packaged and prepared foods. It is all about being natural in my kitchen. I am the same way in the garden. I like to keep things natural. But the soil gets tired, it runs out of nutrients, and to keep the plants healthy and thriving, they need a good meal. But FIRST get a soil test! Just like going in for your physical, get the soil tested so you know what nutrients it actually needs. You can easily have your soil tested by Michigan State University’s Extension Service for a very reasonable fee. And the mail the results right to you! Now that you know how to test the soil, here are some of my favorite natural supplements to condition the soil. MANURE! Yes, that is what I said…good old-fashioned manure. Especially dehydrated cow manure (no smell!). A very inexpensive source of nutrients for the garden, it can be used all throughout the garden. It provides nitrogen, lightens up clay soil and enhances moisture in sandy soils. You can find dehydrated cow manure at many garden center, home center and hardware store. I also feed the garden with compost, and while you can by compost at many retail home centers, I make my own (save money!). A mixture of green (lawn clippings, veggie trimmings, coffee grounds and egg shells) and brown (shredded leaves or newspaper) with a shovel full of your existing soil and some water and the compost will start cooking. You can find more details on making your own compost at Michigan State University Extension Service. 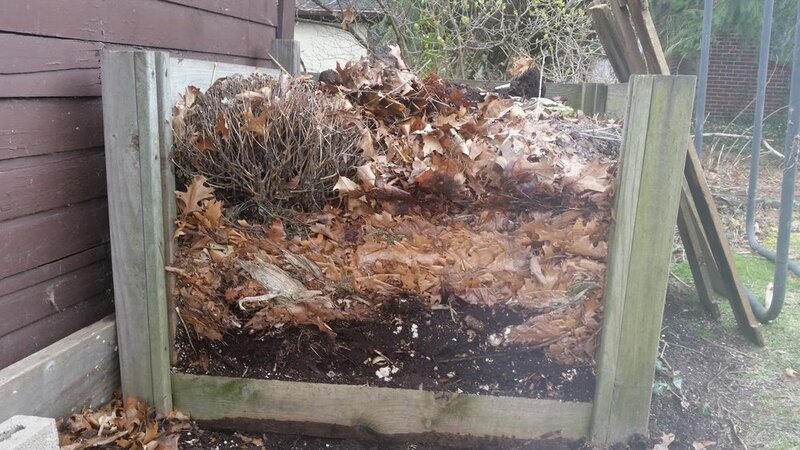 Compost provides organic matter, laden with beneficial microbes that releases slowly into the soil. Like manure, it also helps break down clay soils and provides moisture retention in sandy soils. Have you heard of Chop & Drop? You chop up your leftover winter perennials and grasses (see my post of February 8th!) into small pieces and simply leave them in the garden to break down into fresh nutrients. Do the same thing in the fall; rake up your leaves and shred them right back into the garden. This method keeps materials out of landfills and conditions and supplements your garden’s soil naturally.